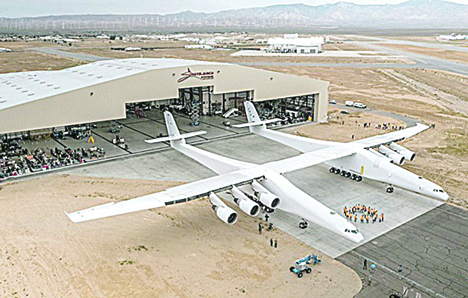 Washington—The world’s largest airplane—a Stratolaunch behemoth with two fuselages and six Boeing 747 engines—made its first test flight on Saturday in California. this way all you need is a long runway for takeoff. “What a fantastic first flight,” said Jean Floyd, chief executive officer of Stratolaunch.